Note: the Batches Editor is currently only available for the Winery & Distillery apps. When you navigate to the Batches Editor the navigation bar will automatically collapse. To expand the navigation bar click on the “expand/collapse” icon to the left of the TTB Tamer logo. Create a new batch by clicking the New Batch icon in the upper right corner of the page. 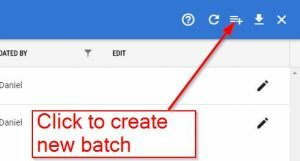 All you need to create a new batch is a batch name. After you give it a name, click the blue Save icon. The batch will now be available to use when making entries. To edit a batch, double click the row or click on the pencil icon. 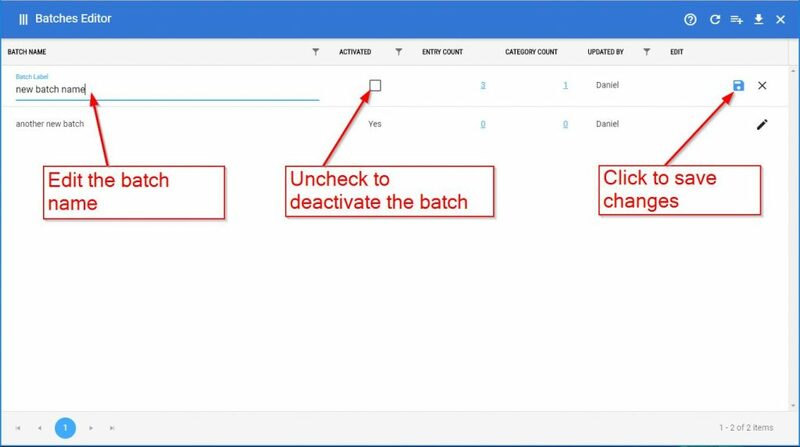 You can then edit the batch name, or uncheck the “Activated” column to deactivate the batch. Click the blue Save icon to save your changes. You cannot delete a batch as any entries associated with that batch would become “batch-less”, which is not recommended. 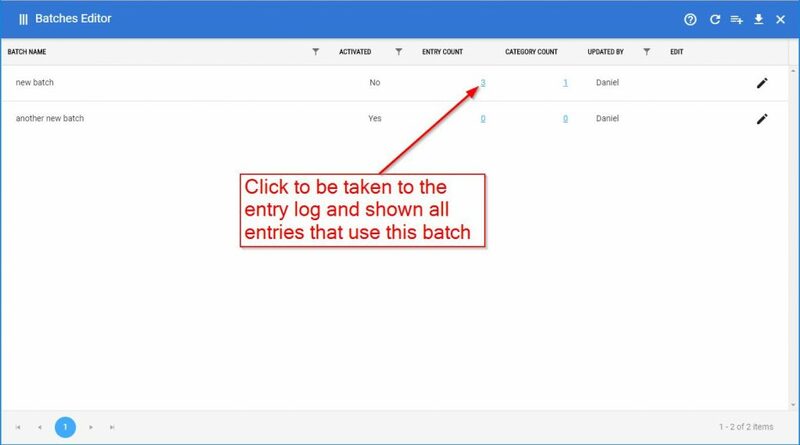 Instead, first click on the blue number under “Entry Count” to be taken to the entry log and shown all of the entries that use this batch. Then, edit those entries to use a different batch. Lastly, you can come back to the batches editor and deactivate the batch to prevent it from showing up again in the drop down when you make entries.